Hi, my name is Christophe Keller. I created this website in 2010 to share my passion for swimming. Before 2003 I seldom swam and only knew the breaststroke. But then a series of circumstances brought me back to the sport of swimming. I started to swim regularly and improved to the point of being able to swim all four competitive swimming strokes. Afterward, I even participated in triathlons. With the right instruction, I think this can be achieved by everyone. So I started this website to help other people learn to swim, and to have fun in the process. In elementary school, we had compulsory swimming lessons. Every two weeks, a bus drove us to a swimming facility in a nearby town. The instructor was old school and taught us to swim the hard way (which means there were many “sink or swim” moments). My swimming abilities at the time were average. Nevertheless, I always liked to be in the water. When I graduated from elementary school, I was able to swim a few lengths of breaststroke, yet the other swimming strokes still eluded me. I rarely swam after leaving elementary school. On those occasions where I did, it was mostly with friends, and we often preferred to play and have fun rather than swim. Nevertheless, I always admired good swimmers and wanted to be able to swim like them. The Baywatch show was popular during my teenage years, and I was quite drawn to the idea of being a lifeguard. Spending my days at the beach, saving people in distress and being surrounded by beautiful women sounded like a dream job to me :-). Alas, I still couldn’t swim front crawl, and so I had to keep dreaming. In 2000, a local newspaper published an advertisement for swimming lessons intended for adults who already possessed basic swimming skills. The focus was on improving the breaststroke and learning the front crawl and backstroke. So I decided to sign up. The lessons lasted ten weeks, with a schedule of one lesson per week. I enjoyed swimming again and improved a bit. Yet when the swimming lessons ended, I still couldn’t swim a whole length of front crawl without struggling and swallowing water. I wasn’t meant to be a good swimmer, or so it I thought. Europe experienced a heat wave in the summer of 2003, and Belgium, the country I live in, was also hit. Since I was on holiday at the time, I went swimming on most days to escape the heat. After a while, I began to practice the swimming exercises I had learned in the year 2000 when I took the swimming course mentioned above. Finally, after three weeks of training, I was able to swim one length of front crawl without too much difficulty. This success was sufficient to keep me motivated and to try to improve further. One day while browsing the Internet, I stumbled across Terry Laughlin’s Total Immersion swimming method. Total Immersion differs from most other swimming methods because it teaches swimming more like a martial art than a sport. That appealed to me because I did Taekwondo as a teenager. Total Immersion makes you practice a series of specific exercises for each swimming stroke. Those exercises build on each other in a clever way so that you can learn each swimming stroke one step at a time. Sometimes the exercises you are doing seem completely unrelated to the swimming stroke you want to learn, but in reality, you are acquiring important basic skills for the stroke. Total Immersion also puts a lot of emphasis on relaxation and relying on sensory feedback for training clues, so that at times it can feel like you are meditating in the water, which is very pleasant. Total Immersion was a turning point in my swimming journey as it allowed me to relax and feel in harmony with the water, working with it rather than against it. My motivation went through the roof, and at times I swam five times a week simply because it felt so good being in the water. Amateur athletes like to talk about how much they train and what competitions they have participated in. That’s why it was always easy for me to get in touch with other sports enthusiasts at my various workplaces. 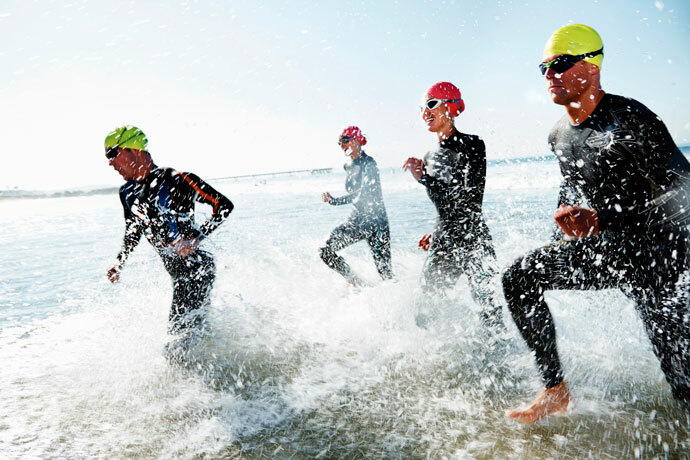 With the increasing popularity of triathlon, it happened several times that colleagues came up with the idea of participating in a team triathlon. Since runners and cyclists are usually easy to find, but swimmers seem to be a rarer species, I was usually chosen to do the swimming leg (most often between 500m and 700m) of those triathlons. The preparation for these competitions usually consisted of swimming in open water for a few weeks before each competition. This allowed me to successfully complete my swim every time, usually arriving in the middle of the pack, exhausted but also happy. The most important lesson I have learned over the years is that swimming well requires a lot of attention to details. To improve you need to swim smarter rather than harder. This often means the mindful practice of specific drills to correct one’s technique rather than just doing laps. Besides, swimming smarter is a lot more enjoyable than swimming harder. And you need to enjoy yourself to keep swimming for hopefully many years. So the purpose of this website is to teach you what I’ve learned since I started to swim again. Most of the articles on this website were written by me, and in addition, there are also a few articles written by guest authors. These articles are regularly used as references for other websites, e.g. on Everything Zoomer, humanrace.co.uk, SportsRec, etc. I’m also the person demonstrating most swimming drills, as you can see here for example. Most of those videos were shot in 2010-2011, with my young nephew behind the camera. The videos may look a bit dated and shaky by today’s standards, but, if you want to learn to swim, they are still as relevant today as they did back then. I hope to redo them at some point with modern equipment when I get the time. In closing, I hope you will have as much fun reading my articles and putting them into practice as I had writing those articles. Maybe you have something to comment on or an interesting story to share? If this is the case, you can do so in the section below. Alternatively, you can also send us a private message through our contact page. Thank you for posting the articles and videos. I have never been a swimmer; around my 71st birthday, I started swimming lessons. One of the men at our gym, who teaches swimming at the local college heard me say that I could not swim. He said he could help and he did. He is very patient. Your articles and attention to detail have been extremely helpful for me. It is amazing that you started taking swimming lessons at 71 years! I’m glad that you found the articles on this website helpful. Wooww !! You are an inspiration !!!! If at all we ever meet , I shall again take my hat off to you….as i am doing that right now !! Congratulations! Your website is very comprehensive, clear and useful for those who are starting in this sport. Thank you so much for creating this website!!! It is absolutely phenomenal! I love all of your detail and the way you present the info! I’m just learning how to swim and I am using all of your articles and drills! I’m really impressed with this site, I’ve picked up some really useful tips today. I’ve recently been working on improving my freestyle technique and I’ve really made good progress with my arm technique. However, the other day when I was in the pool a guy in the next lane commented that my kick really let me down (I’m taking that as confirmation that my arms are now better!). I’m looking forward to trying some of your tips later on today. For those just starting out in swimming – don’t be discouraged at all. At least you’re starting out learning the correct style. I’ve been swimming with little technique for a very long time. You won’t be learning the “wrong” way to do things using this site. Hello Christophe, I love the work you’re doing here. I was a competitive swimmer and lifeguard in high school (also during the Baywatch years), but always found swimming to be really hard work. I always try to swim more than 200 continuously without going anoxic or needing to rest. Then recently I got back into swimming after starting Snappy Towels and getting back in touch with my swimming roots. I’ve adopted many of Terry Laughlin’s Total Immersion techniques because I knew if I was going to swim seriously again I would have to find the joy in it, not just treat it as a workout. Nice story, Dan! Thanks for sharing! Thank you very much for your written articles on techniques. They were of great help for me to learn to swim. I am a 73 years old woman and took up swimming a year ago for the first time. Since I started to take lessons, I have been looking for ways to correct my sinking legs and hips. I used a kickboard to learn to kick, but my legs and hips kept sinking. Finally, I have found your website that explains everything, not just this problem but other problems I have been experiencing. I am very grateful for your help. Hi, I am learning to swim from your site, everything is explained in a simple language and videos are also provided which makes it easy to understand the technique. Even the basics are covered very well and guide to buy swimming gear also. What else anyone can ask for if he/she loves to swim. I couldn’t find any website better than this. Hi Christophe, Thanks so much for this website! I’m a 37 years old female. I learned swimming front crawl initially as an adult when I was 23 or so. Never been in a pool prior to that. When I wanted to swim laps a couple years back, I was hardly able to swim 1 lap without gasping for breath. I came across your website and I followed the drills. Now I can comfortably swim 10 laps of front crawl and probably more also (haven’t tried it). Thanks to you !!!! May I please request you to post drills on learning flip turns (for someone who has never done a somersault before)? I feel it would make my laps much more enjoyable and seamless. Thanks for the kind feedback! It’s nice to hear that you were able to improve your front crawl in such a way with our swimming drills. As for your request for flip turn lessons, I’ve wanted to create such lessons for years, but I have never been able to do so for various reasons (for example, I’m currently injured at a knee from a running competition, …). So, hopefully, lessons about flip turns will come at some point, but I’m not currently able to say when this will be. I have been swimming for over 70 years (now 77). However, I only started swimming for fitness about 25 years ago. I regularly swim for a mile or so about three times each week. I do not get tired and feel I could swim forever. However – here’s the problem! I have tried for most of the last 25 years to breathe bilaterally. I have failed miserably. Tried loads of drills etc. but still struggle so much I just give up and breathe every four strokes to the one side. Does anyone have a fail-safe drill that could help me? I’d really appreciate it. Congratulations on your more than 70 years of swimming! That’s quite an achievement! As for your question, it is difficult to know why you can’t seem to succeed breathing on both sides. To solve this problem, I cannot recommend a single drill in isolation, but I’d suggest that you have a look at our series of drills for the front crawl. In those drills, you learn among others how to roll from side to side and how to breathe on the sides, at first without using your arms and afterward while using your arms. Practicing those drills for a while should hopefully allow you to graduate to bilateral breathing. 1. Kick only from the wall rotating till you are 90 degrees perpendicular to water. One side then the other. One length then remembering the motion of body do same with slow controlled rolls… Over exaggerate the roll and after a few days of this you may see some improvement. 2. After swimming practice do neck rolls until your chin can touch each shoulder, with shoulders in natural position. Thanks Christophe for sharing your passion and encouraging people to swim, or swim better. I just came across your site and after reading a few pages bookmarked it to explore it completely and study it in detail. I am an intermediate swimmer, my technique learned about 35 years ago (I am turning 47) at a swimming school my parents sent me after school. I think I got the basics quite right for all four strokes. But I am surprised to see how swimming technique keeps evolving and my need of working a lot on it has become so obvious! Just anecdotally, I first got notice of this when swimming at a 16m pool in a condominium. A neighbors’ personal trainer sees me swimming breaststroke and points me out my forearm should bend downwards and my stroke be less outward and shorter backwards (I went all the way out and back making as big a circle I could). I was surprised, but after 35 years of my last lesson, I noticed I was not as good a swimmer as I thought (I never competed nor trained, but I believed my technique was above the average). Your experience with martial arts, attention to technique, your words about feeling you are “meditating” at times underwater and need to feel and flow easily struck a chord with me. 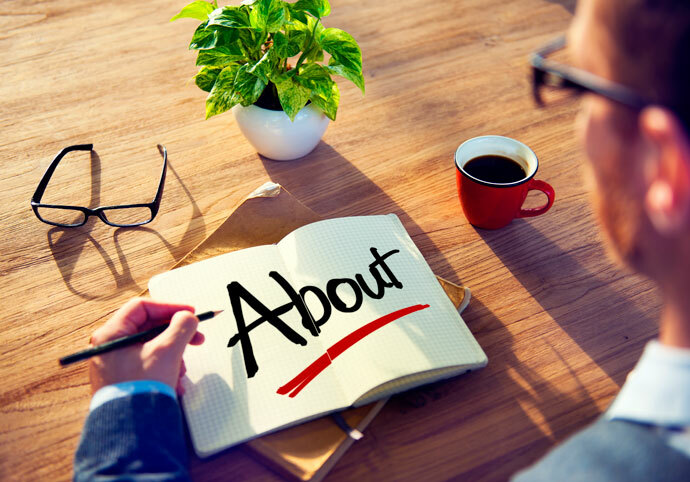 What I like most is your combination of detailed but succinct text, well organized in sections and titled paragraphs and short videos illustrating. The balance of these two things is rarely found on other swimming websites. While other beginning readers comment on the help found in your web site, I find it extremely helpful to progress to a more advanced level, as I told about my child lessons, above. You seem to look at things from a technical point of view, and so do I. Since I am not gifted for sports, particularly, technique and sweating has always been my remedy. Moreover, when I noticed your entries are updated recently, I decided to write this lengthy comment and share my experience. And will make me a loyal reader and follower because it transpires your commitment and passion. Especially that you are not making this for self-promotion, money or bragging – I am also hooked up by the fact you did not mention medals, awards and prizes but that you ended up “middle of the pack” in triathlon. A humble and honest teacher, you are. If you want a hint of what could come next -and considering I only went partially through the backstroke section- I’d suggest breaking down the technique into phases with zoomed in, short, detailed, slow-motion video clips would. That would help me, at least. And perhaps links to actual races, or competitions to see things in action -on the other end of the spectrum. And what about a brief section on equipment? From selecting goggles, to why and how to use caps, fins, paddles, “competition” swimming suits/vests, earplugs, etc. Sorry for so many typos and grammatical errores, some induced by the auto corrector, other by my own haste and small mobile screen. No problem Frederico, I took the liberty of correcting them. Thanks for your kind comments. It is nice getting feedback from people like you who find this website helpful. Your comment on the evolution of swimming technique in the different strokes is very relevant. As a child, I also learned to make wide underwater sweeps in the breaststroke, and later, as an adult, discovered that it was now recommended to make a more narrow pull and a quick recovery forward. So it may be a little difficult to get rid of old habits and acquire new ones, but it makes things interesting because there is always room for improvement. Indeed, there is still a lot of room for improvement in my articles covering the technical aspects of each stroke, and your suggestions are good, I have had something similar in mind for quite some time. However, I currently have calcium deposits in one shoulder, which have kept me away from the pool for a while, so it currently is difficult for me to make new videos to illustrate swimming technique. On topic copyright-free or royalty-free videos are also a little difficult to find or quite expensive, but I need to do some research in this area a little more. Nevertheless, rest assured that I have taken due notice of your excellent comments and will try to incorporate them in my articles in the future.